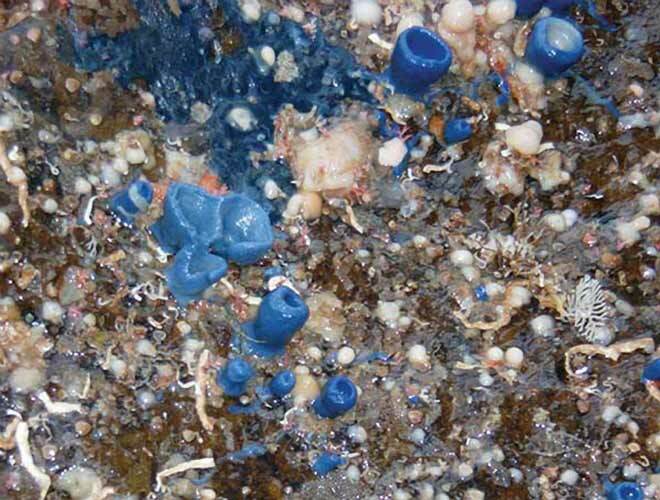 Some 34 species of rock sponge are known from northern New Zealand waters, where they grow on underwater mountains. Rock sponges absorb dissolved silica to form their skeletons. This brightly coloured species, Reidispongia coerulea, was found at a depth of 250 metres. They derive their colour from pigmented bacteria living inside them.